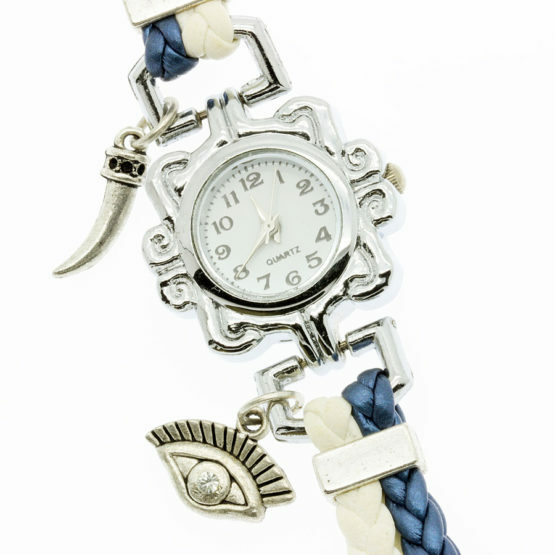 Silver tone watch with blue and white braided leather straps. There are two rows of leather on each side, side by side. The blue and white sequence on the bracelet is reversed on one side and the other. The watch has two silver tone pendants of luck: the eye of Horus with a rhinestone on it and a horn.